Last time I dyed my hair with Etude house's bubble foam, I wasn't really impressed with the results. It barely covered my roots, didn't blend with my color ends and didn't last for more than a month. I had to go to my favorite Korean Salon and had it manicured which for the meantime masked my hair's uneven color. I wanted to go dark for sometime now but I always get tempted to go for the lighter shades. I started to consider trying something new- Palty. 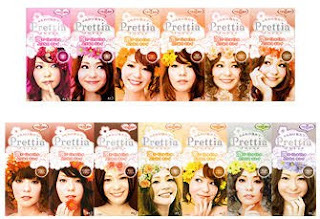 Palty is one of the most used DIY hair dyes in Asia and also one of the most popular. I have read about it before and wanted to try it since they have a lot of shades/ colors to choose from. My main concern back then was that I have virgin black hair. I needed a dye that pretty safe and easy to use thus I experimented first with Prettia/Liese. Anyone who want's to know more about Palty, there is an entire thread dedicated to all your questions at Soompi, a forum I frequent. After careful consideration, I bought 2 boxes of Palty in Bitter Capuccino to achieve this color. As you can all see, the tip of my hair looks reddish-orangey-brown while the top looks a dark shade or reddish brown while the roots are black. This is my uneven colored hair. The box contains a bottle, a tube, a brush-like applicator, plastic gloves and instruction sheet. First off, you open the bottle and pour the contents of the tube into it. Close the bottle and shake for a minute, after that replace the bottle cap with the brush applicator. Squeeze out the contents gently from the bottle and comb (using the brush-like tip) your hair. 1. Palty stings, more than Prettia (Etude doesn't), it makes my head feel hot and itchy after the initial application, I had to face the electric fan as my sister did my hair. 2. You need at least one person to help you do this since it's very difficult to apply at the back/nape. Unlike Prettia and Etude, this one needs you to section your hair for even application in my opinion. 3.No pain, No gain- despite these initial cons, the color turned out exactly like the color in the box. Really love the color! Unlike the previous hair dyes I used, it doesn't have a strong red or reddish undertone. 4.Unlike Etude, my hair didn't feel rough or course after applying it. It felt soft and silky too after I washed it. I'm definitely gonna use this product again. The color consistency won me over. I just so love the result. 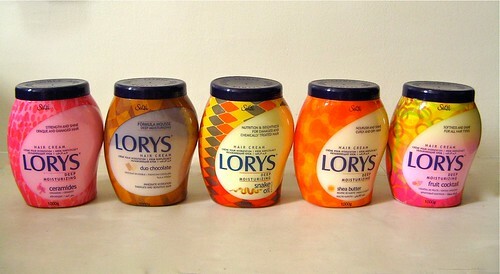 Also, for dyed hair, you hair is prone to drying so it is best to use a deep conditioner like Lory's. I discovered this one while I was searching for Pure Beauty conditioner since I can't find any. Lory's does the job for me, it is also conveniently available at Watson's.